Experience has become the tool of choice for BYU in rebuilding an offense from the ashes. The Cougars sunk to unthinkable depths a year ago en route to a 4–9 season. Putting points on the board, or even moving the chains, became a virtually impossible task at times. Last season, BYU ranked among the bottom 15 FBS teams in multiple offensive categories. This included first downs per game (16.5), scoring offense (17.1 ppg) and total offense (325.2 ypg). First-year offensive coordinator Jeff Grimes is confident he can change that narrative for the Cougars. One factor creating favorable odds is the experienced brain trust assisting Grimes on offense. His offensive staff is composed of assistants who all had at least six seasons of coaching experience before coming to BYU. Their knowledge and experience has helped them earn the players’ trust in a short amount of time. Like a chef creating a batch of stew, Grimes is tossing a wide variety of ingredients into the pot to design a new offense. Grimes is drawing inspiration from a full spectrum of concepts and schemes he learned at various coaching stops. This includes spread plays from his stint at Auburn. It includes heavy set runs and play action passes from time spent at LSU and Virgina Tech. Drop back passing concepts from his first stint in Provo are also in the mix. 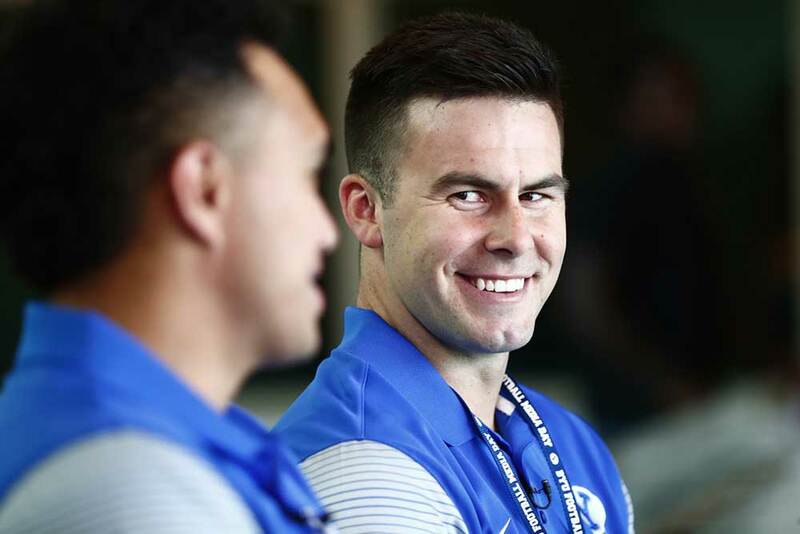 His playbook also incorporates the knowledge fellow offensive assistants Aaron Roderick, Fesi Sitake and Steve Clark gleaned from coordinator stints at Utah, Weber State and Southern Utah respectively. The goal is to assemble the best ingredients into a winning recipe. Players in the program who have sampled the recipe like how it tastes so far. 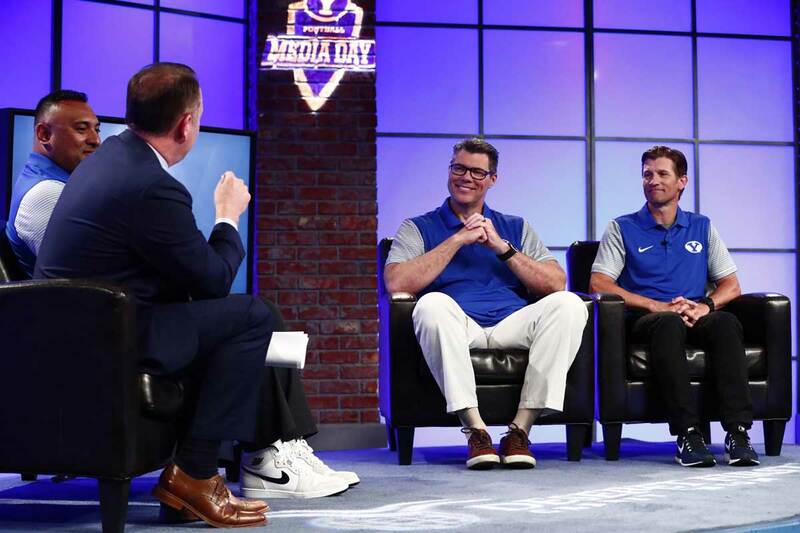 “It’s been cool just to learn from them and learn from their ideas and see how they implement them into an offense we can be successful with,” said senior quarterback Tanner Mangum. Learning the new offense has kept the players on their toes. Coaches have not hesitated to challenge and push players to their limits while the offense absorbs a new playbook. New plays, new shifts and new formations were tossed out at players at a rapid pace during spring practice. The end goal, Mangum said, is to mold each player into a master of the offense. It’s a challenge Kalani Sitake believes his team is embracing. Refining technique is an area where BYU needs to gain ground heading into fall camp. Grimes is confident the Cougars can do it. One reason why is that he has already won an important battle by changing the culture around the team. He feels like he has a group who wants to put in the work to be successful. They are spending extra time studying the playbook. These players are putting in the work to refine their own skills. They have embraced a higher standard collectively and individually. Success is what BYU craves after enduring such a dismal season a year ago. The Cougars want to prove last season is an aberration. Putting themselves back on the college football map is their goal. It starts with an offense possessing the teeth and claws that opponents fear and BYU fans expect.